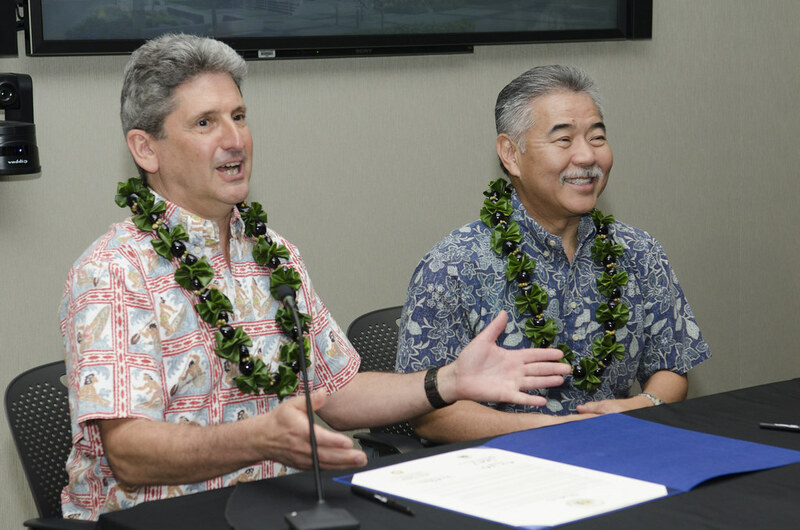 Governor David Y. Ige and University of Hawaiʻi President David Lassner signed an agreement that leverages the 2-year-old UH Information Technology Center to reduce risks associated with some of the state’s IT systems while saving taxpayer dollars. 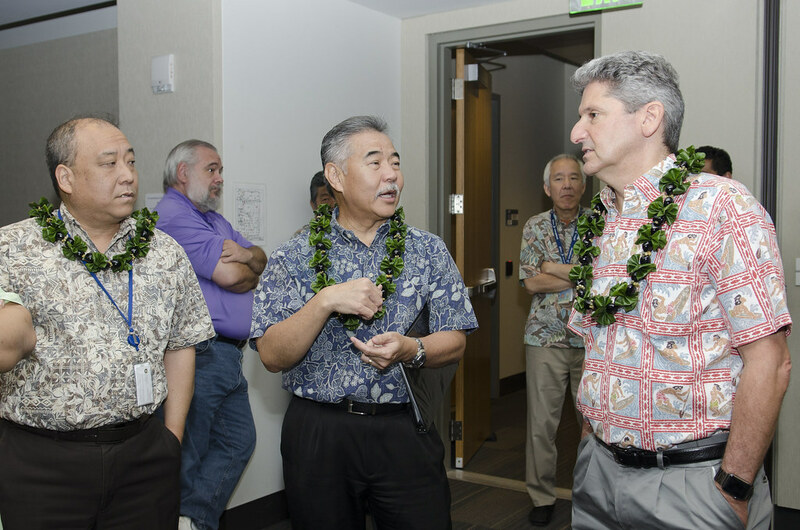 Under the agreement between the Office of Enterprise Technology Services, led by state Chief Information Officer Todd Nacapuy and the university’s Information Technology Services, led by UH Vice President for Information Technology and Chief Information Officer Garret T. Yoshimi, some IT systems currently housed at that state’s primary data center in the downtown Kalanimoku Building will immediately begin migrating to the UH IT Center to the extent possible to provide resilient backup. The agreement outlines a rate structure under which ETS will remunerate the university for its costs each year, including a “true up” based on actual expenses from the previous year. 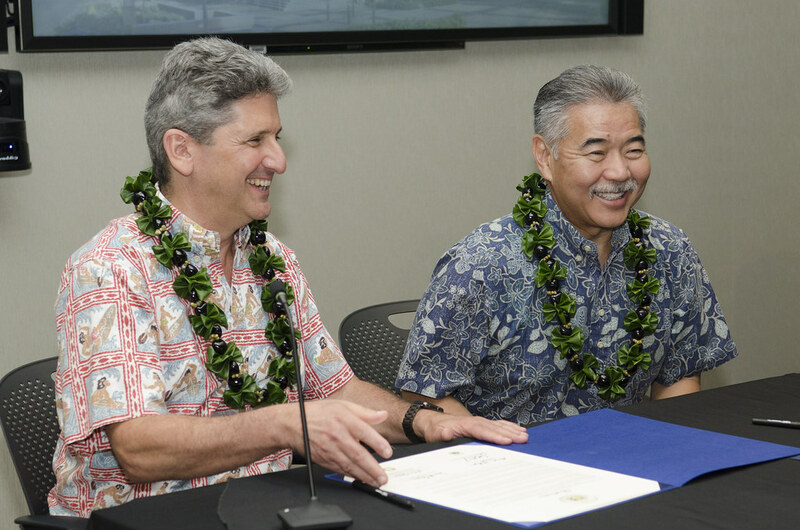 “I applaud our executive branch and University of Hawaiʻi teams for working together on this mutually beneficial and cost-effective solution to meet our state’s immediate data center needs,” said Ige. The Kalanimoku data center has long been known as an aging facility with many components requiring refurbishment and upgrades. Furthermore, the building is less than ideal due to its location close to shore, the lack of power redundancy and distribution and insufficient cooling and antiquated fire suppression. Physical security, access and reliability were key factors in identifying the UH IT Center as a viable site. 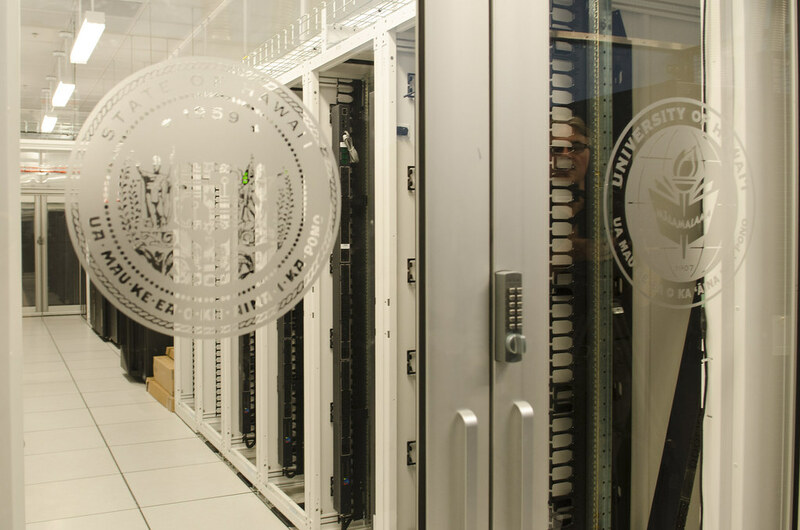 The UH facility already maintains a secure environment with protocols in place for authorized personnel that are provided access and the UH IT Center’s data center is designed to operate through an extended power outage without any problems. In addition, the university agrees to put in place processes and procedures necessary for some state departments’ compliance obligations, such as those required by the Health Insurance Portability and Accountability Act, Internal Revenue Service, Criminal Justice Information Services and personally identifiable information standards. 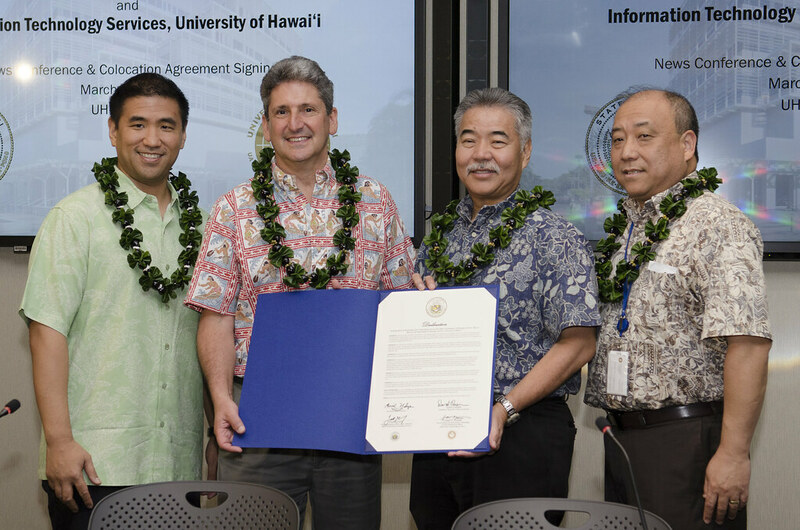 At the signing, from left, State of Hawaiʻi Chief Information Officer Todd Nacapuy, UH President Davide Lassner, Governor David Y. Ige and UH Vice President for IT and Chief Information Officer Garret T. Yoshimi. View photos on the University of Hawaiʻi Flickr site.